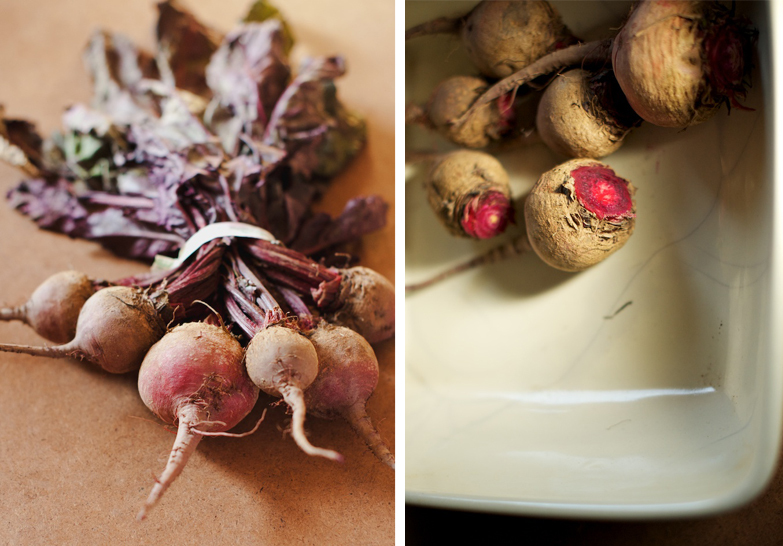 When thinking about how to prepare beets, roasting them is a given. 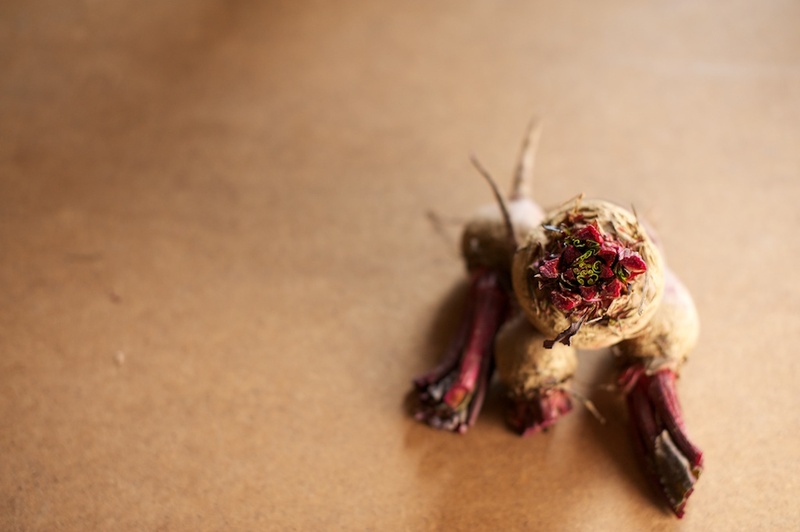 It's not only the best way to bring out this root vegetable's sweet flavor, it's also the easiest way to avoid splattering magenta and purple-hued juices everywhere. We had a white linoleum counter in our last apartment, forcing me to prep beets on our stovetop, as it was the only surface that wouldn't become irrecoverably stained. Instead of discussing how to prepare beets, the more interesting question is: what do you do with the beets after they're roasted? Inspired by a recipe from Bill Taibe, I've taken to roasting the beets with thyme before tossing them with honey and balsamic vinegar and sprinkling them with mint sprigs. I first tried this concoction last Winter and I haven't deviated since. 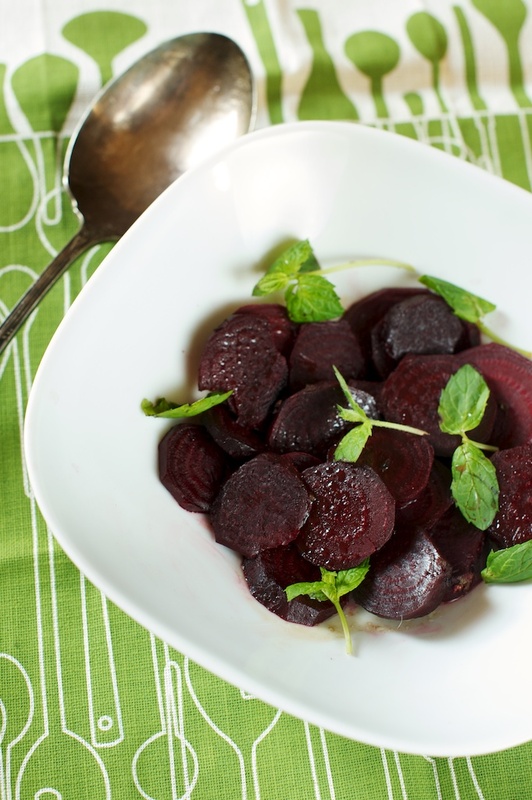 The honey is a fitting companion to the earthy, sweet beets and the mint adds a breath of freshness to the salad. You can eat this hot or cold, making this preparation easy and versatile. 1) Heat the oven to 400. 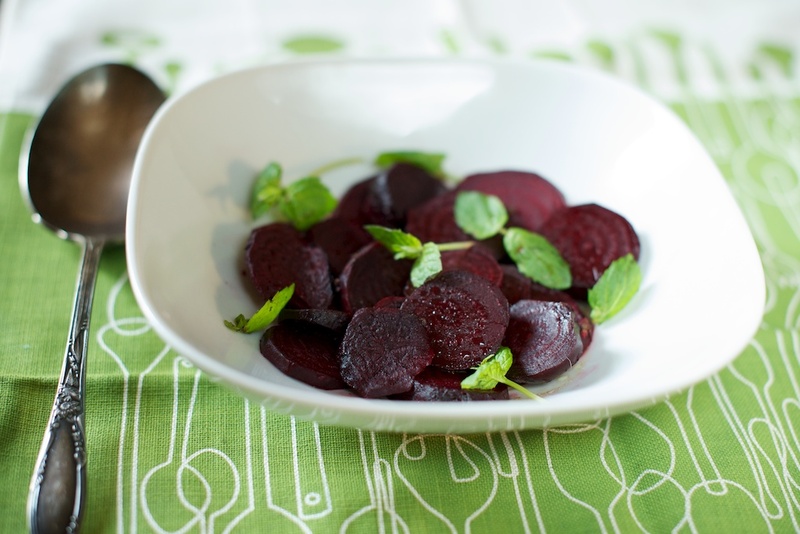 Trim the beets (save the beet greens for another use) and put them in an oven-proof dish. 3) Let the beets cool. Then, peel and cut into medium slices or wedges. 4) In a small mixing bowl, mix the honey, vinegar, 1 tablespoon of olive oil, salt and pepper. 5) Place the beets in a serving bowl and pour the mixture over the beets. Toss to coat. Garnish with the mint. Enjoy!